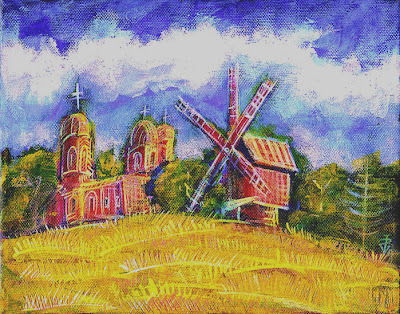 This is a 8 x 10 inches canvas, painted in acrylics, and it would be yours for just CA$ 90 . Posted by Ion Vincent Danu at 3:59 p.m.
August 25, 2007 at 6:49 p.m.
August 25, 2007 at 9:36 p.m.
August 27, 2007 at 9:55 p.m.
glad you visit me, thanks! August 28, 2007 at 8:59 a.m.